Fans of lawyers and the service they provide (count me in) always look forward to Law Day. Traditionally close to early May, Law Day helps cement the important connection between members of the public, attorneys, judges and the rule of law. Searching for “law day” in my blog leads to a surprising number of hits over the years. 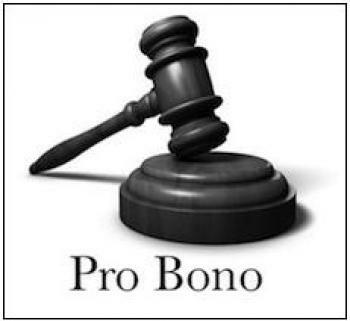 Clearly, I am taken by the pro bono value attorneys provide (here is last year’s post). And this year is no exception. Like last year, the State Bar of Arizona’s approach will be to offer free legal advice clinics, in the Valley and in Tucson. The clinics will cover a wide variety of legal topics, including landlord and tenant; bankruptcy and foreclosure; immigration; and divorce, child support and paternity. The events will be held on Saturday, April 26. Please spread the word and share this post with anyone you think might benefit from some free legal advice. All the detail, including times and specific locations, can be found here. Later this week I will share another Law Day event, hosted by an independent legal organization. The more the merrier.